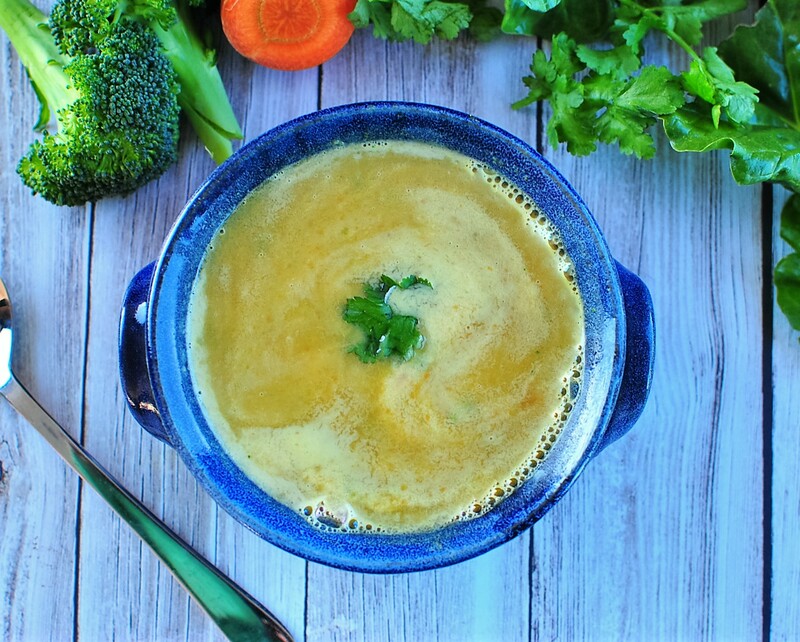 Chicken soup is often described as food for the soul and it is something I like to make when I want to get a few extra nutrients into the family. There is nothing better on a cold Winters day than a big pot of healthy nutritious soup cooking away. The smells that fill the house are so delicious. Not to mention the lovely warming effect on your body when you sit down and take those first few spoonful’s!!! One of the best things I love about soup, is the ability to add so many nutritious vegetables and spices without really even tasting them and because the vegetables are cooked in the soup you are not losing any goodness. Garlic and turmeric are wonderful detoxifying and antiviral herbs to help the body get rid of toxins, stimulate circulation, reduce inflammation, aid digestion and boost your immune system. Furthermore all the vegetables and homemade chicken stock added to the mix and you end up with an incredibly nutrient rich meal. This recipe only serves 4, but you can adjust the quantities to suit your requirements. Roughly chop all your vegetable and add all ingredients to a large stock pot, except corn and soft greens. Stir in a teaspoon of cream or butter for a delicious treat. No Replies to "Delicious Chicken Soup"